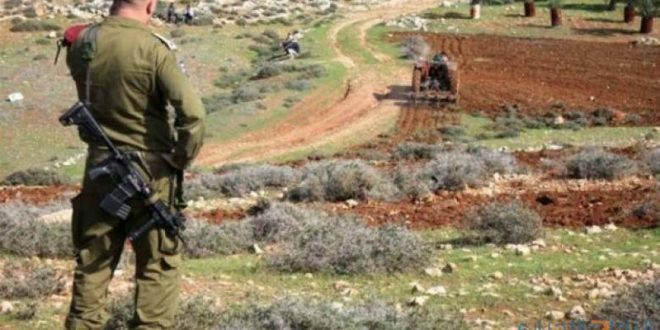 Israeli Occupation Authorities (IOA) on Thursday ordered the evacuation of agricultural land east of Yatta, south of Hebron, on the pretext that they it was state land. The coordinator of the National Committee in the south of the West Bank, Ratib al-Jabour, said that the Israeli occupation forces handed over Ahmed Mahmoud al-Hamamdeh four eviction notices in the area of ​​Al-Mufaqqara east of Yatta, which has the width of five dunums, and gave him 45 days to evacuate. It is worth noting that the Israeli occupation forces have taken over large areas of the citizens’ land in the town of Yatta under various pretexts, including state land, pastures, or military-used areas, preventing citizens and landowners from exploiting or housing them. Settlements.